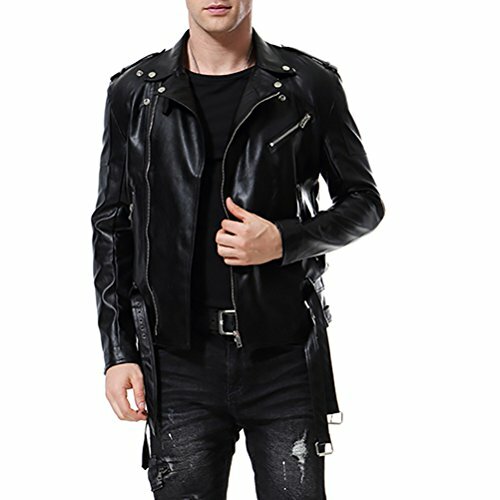 Fashion Slim Fit Style Turn Down Lapel Motorcycle Biker Faux Leather Jacket Double waist belt design with buckles, Stand collar with throat belt buckles. 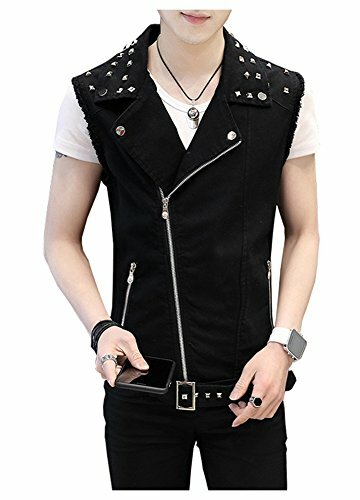 Two waist zipper pockets, one chest slanted pocket, one with a stud button flap design pocket. 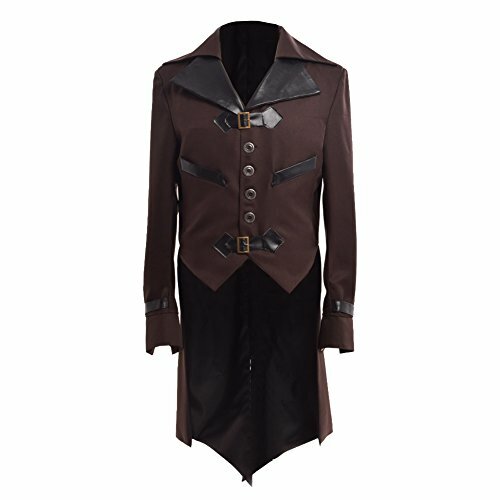 MATERIAL - 95% Cotton, 35% Polyester. 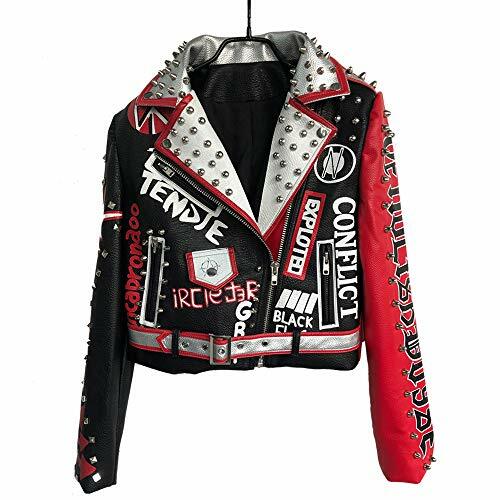 Fashion Jacket. 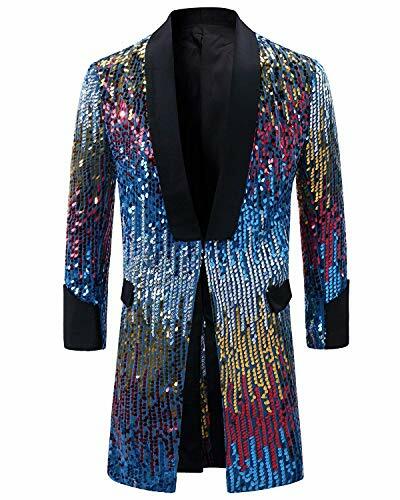 MENS JACKET - Cool, fits true to size, good quality Fabric, making style make you feel good and comfortable when wearing.This Mens Jacket is a must-have on your wardrobe. 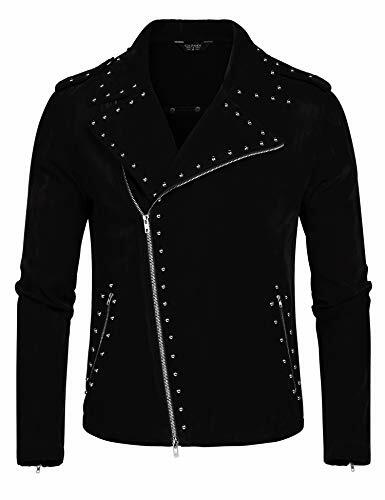 UNIQUE DESIGN - Dazzling rivet,Turn Down Collar and Zipper Design,Unique Cuff, Nice Velvet Fabric,Stylish men's jacket. 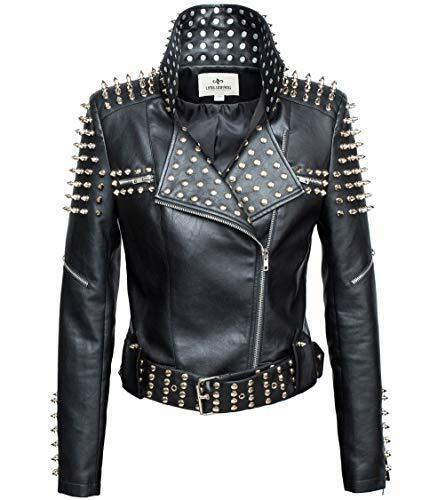 It's great to match with your jeans for a sharp looking. 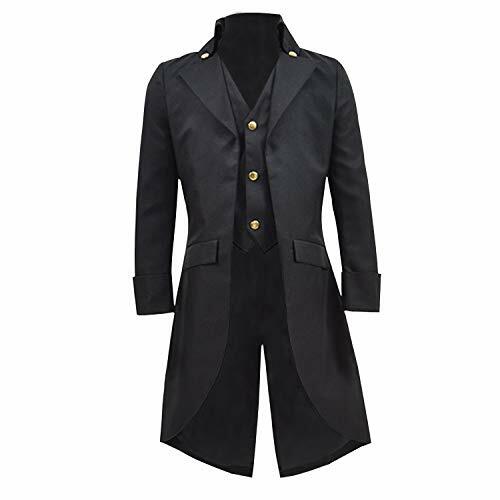 Latest fashioned jackets,suitable for early spring, late autumn and winter in various occasions. 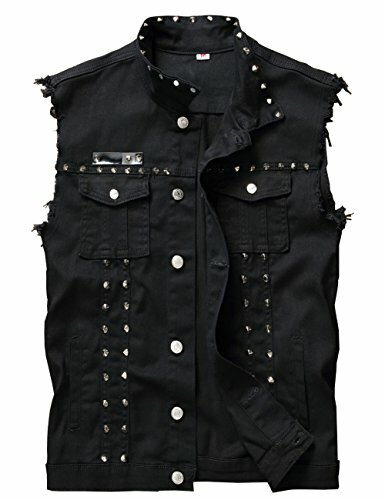 Men's punk style denim vest with rivets, perfect for party, stage wear. 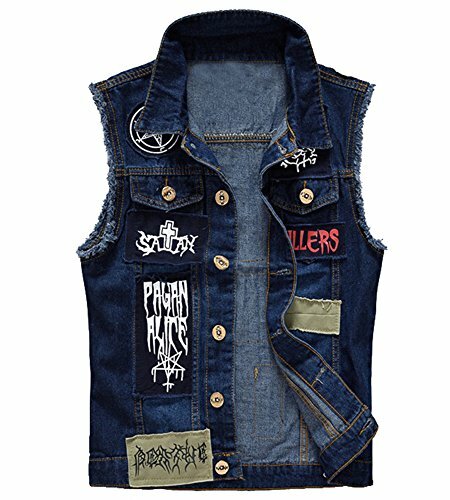 Fashion sleeveless jean jackets, make you look cool and novelty. 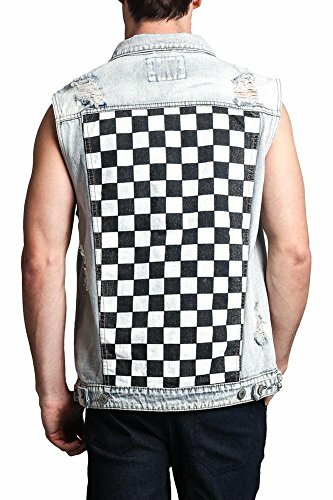 washed jeans vest, made of cotton. 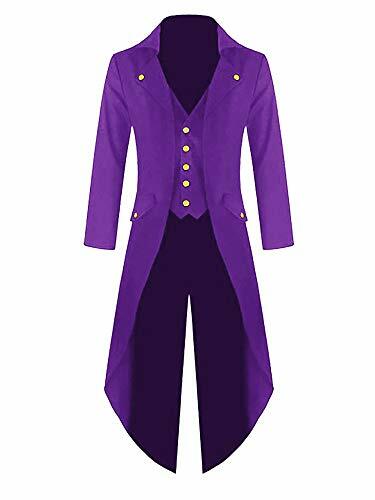 2019 New Spring style. 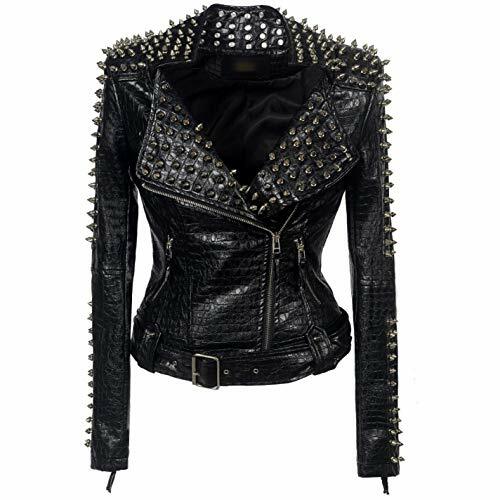 PU leather jacket women is fashion for stree, party, daily life. 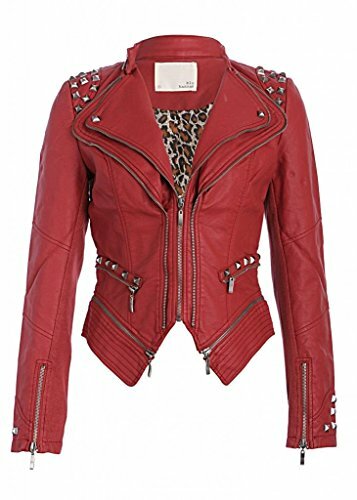 Faux Leather Zipper Jacket Coat deco by rivet, colourful printing, metal. 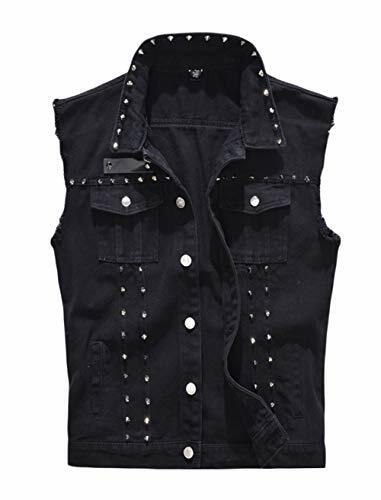 FABRIC:Cotton,Polyester Button Fly closure,Two pockets on the front chest Men's punk style denim vest with rivets, perfect for party, stage wear. 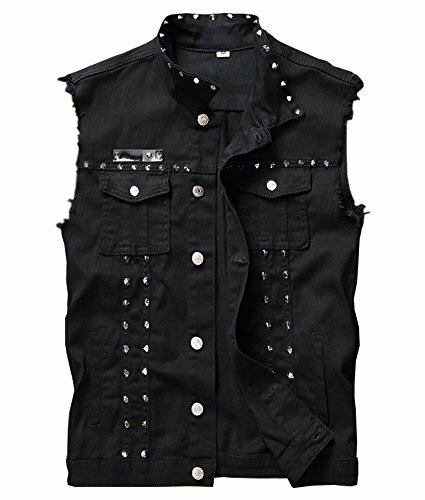 FABRIC:Cotton,Polyester Zipper Up closure,Two hand pockets,Drawastring on waist Men's punk style denim vest with rivets, perfect for party, stage wear. 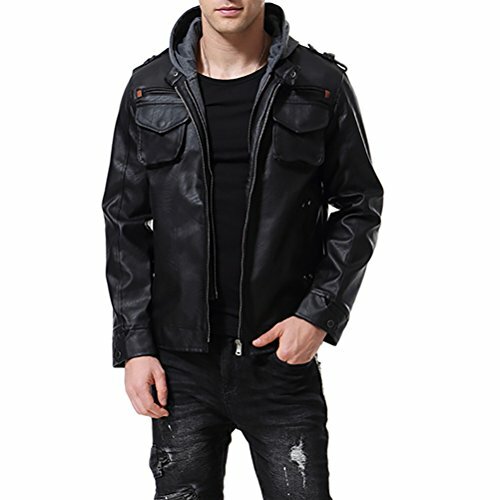 Mens Classic Zip PU Leather Hooded Biker Rock Punk Jackets. 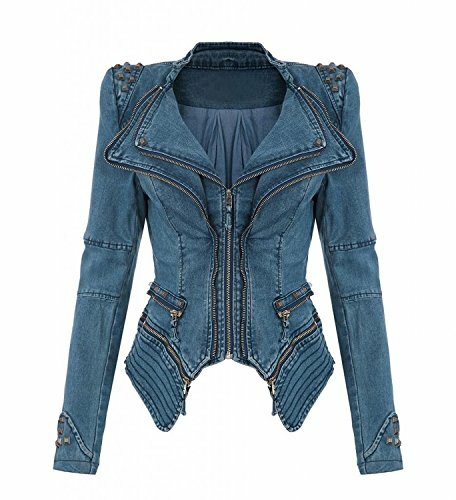 Material: Polyester, Denim; Artificial leather Cool and vintage design, slim fit short coat. 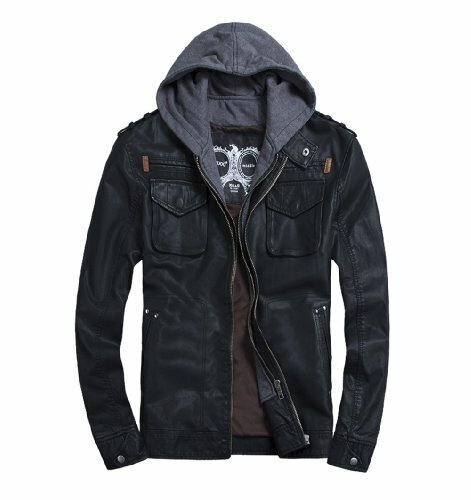 Comfortable fabric, zipper closure, long sleeve, unique biker jacket, suitable for any occasions.